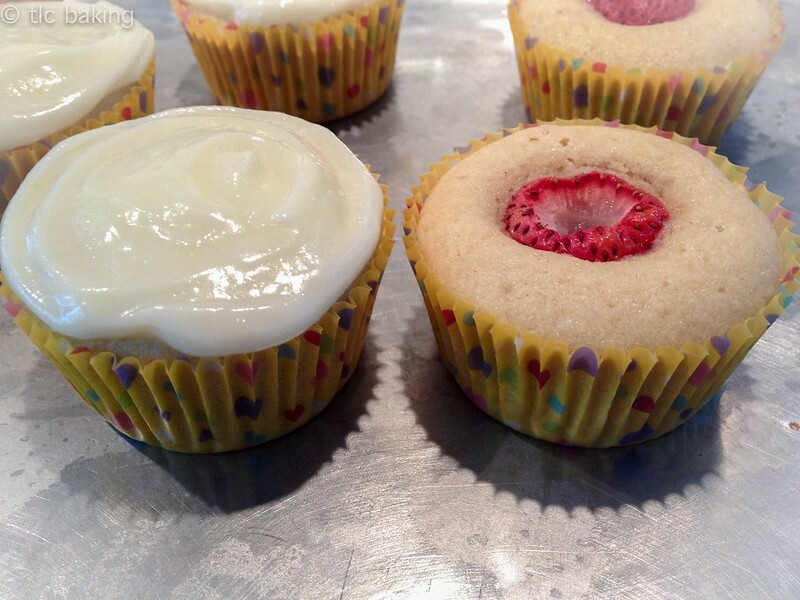 lemon cupcakes with strawberry centers [coconut & lime] – tlc. | tender love and cupcakes. Despite the chilly rain that’s been assaulting Chicago for a week now, it is indeed spring, and my cravings are showing it. Sweet, juicy berries, tangy citrus, froyo piled high with every topping in the store–this is all I want anymore. I’m finding myself thinking of last summer’s recipes, so today I have a throwback for you guys. One of my favorites that I made last spring and summer. Multiple times. Because they were that good. These are lemon cupcakes with full strawberry centers, courtesy of Coconut & Lime. Mmmmm. Love those juicy strawberries. 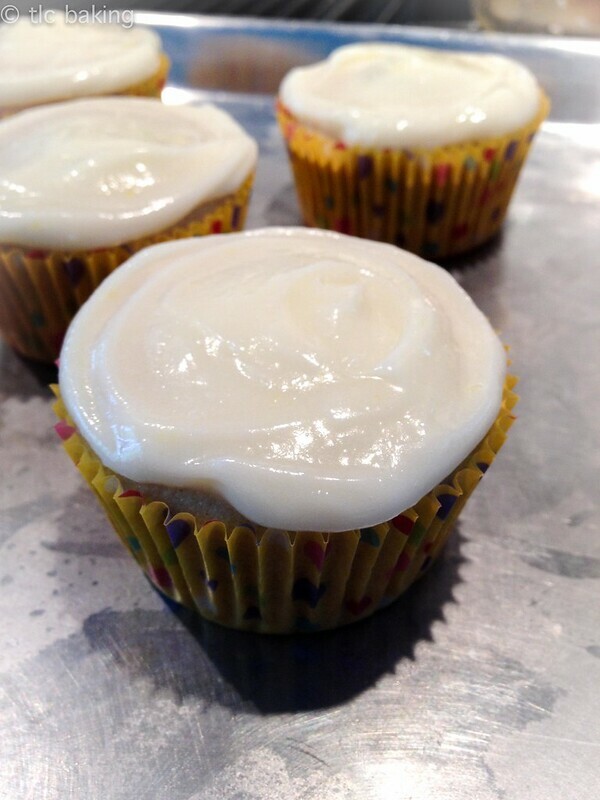 I followed the recipe exactly, going with the suggestion of cream cheese frosting with added lemon juice and zest. My favorite part about these is that nobody expects an entire strawberry inside the cupcake. It’s a pleasant, juicy surprise that contrasts nicely against the texture of this dense cake. You don’t need big strawberries, but make sure they’re nice and ripe, so you really get the full berry sweetness to complement all the lemon in these. The photos are not quite up to my usual standards, so forgive me for that, please. They’re a bit old. But just last week I bought some of the biggest, reddest strawberries I’ve ever had, so I’m hoping that as soon as this rain clears up, there will be a lot more of those berries–and some of these cupcakes–anew in my life.